I had a few hours this evening after work to fix up an old app I created in 2006. That makes it 9 years old! 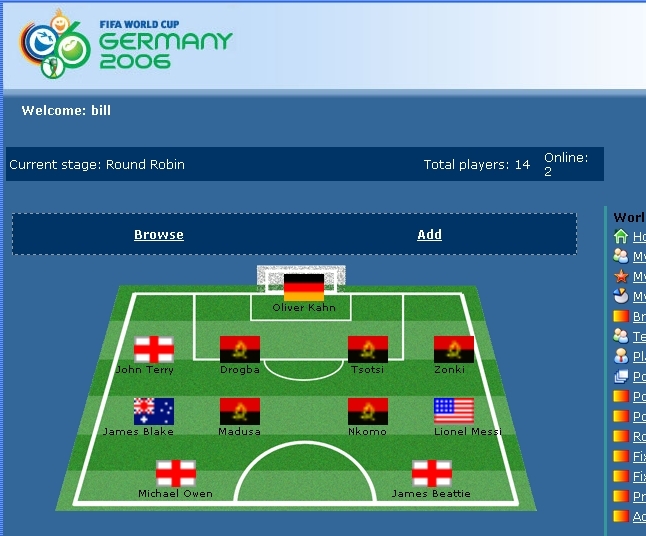 It’s a fantasy soccer game modeled off the world cup. 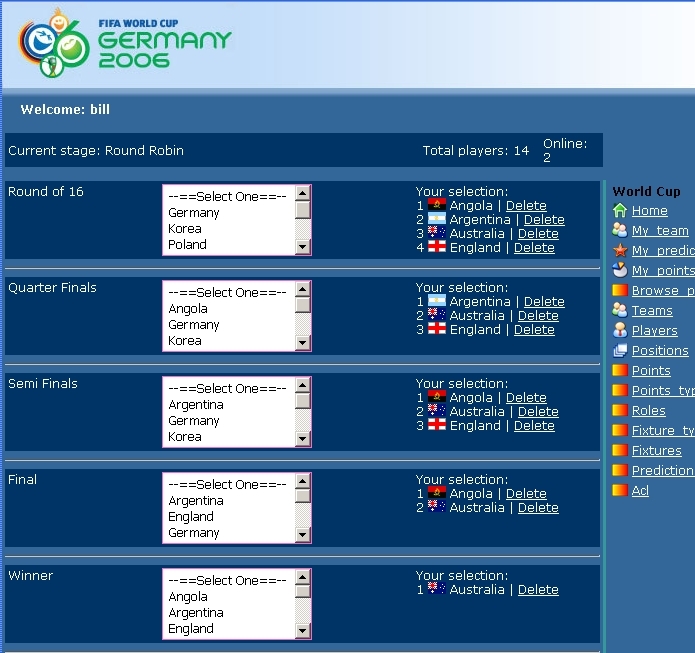 Players select a team of 11 for each round, and points are awarded based on the configured rules. Points can be awarded for any configurable event, such as a goal, redcard (negatives! ), hatricks, clean sheets etc. It also has a predictions section – predict for example the top 16 teams to go to the round of 16, 8 for quarters, 4 for semis etc.